is an attorney, writer and activist working toward the promotion of democracy, the rule of law and human rights within the framework of Islamic law in the Islamic Republic of Iran. Despite her efforts being frequently impeded and curtailed by the intelligence services of the Islamic Republic, she has been an active public defender in Iran’s civil and criminal courts, and has published regularly in several influential and independent Iranian journals. 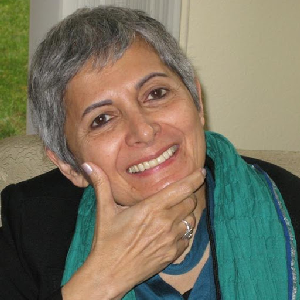 Banned from making public appearances within her country, including conferences, radio and television, Ms. Kar has used international forums as a platform for voicing her opinions and advocating for the democratic, political, legal, constitutional and human rights of the Iranian people. In April of 2000, following her participation in a symposium in Berlin, she was arrested and imprisoned on charges of acting against the national security of the Islamic Republic of Iran. Three of the five charges against her are pending, for which she may again be arrested upon her return.